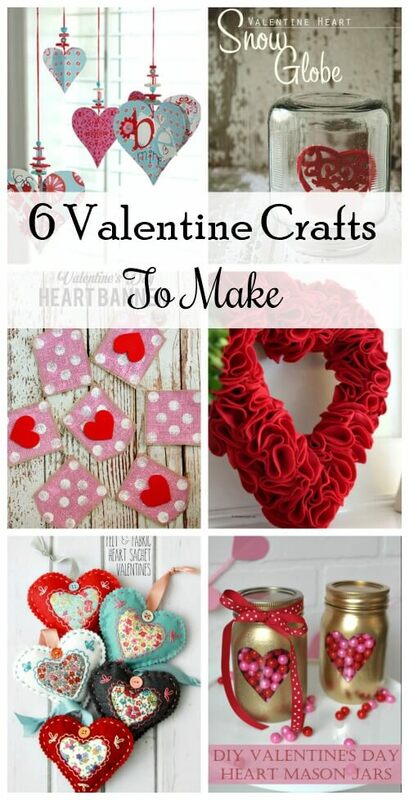 It’s almost Valentine’s Day, and what’s more fun than creating crafts for this day of heart? Whether you want to create this for your honey, or help the kids make crafts for their friends, one of these might just fit the bill. 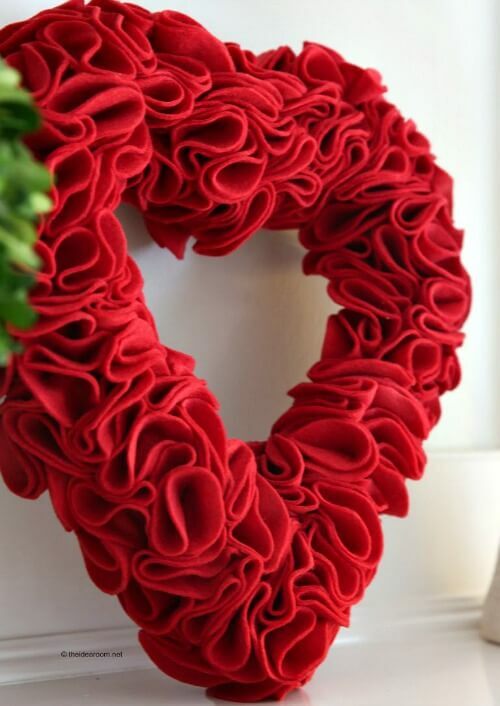 And let’s not forget Valentine’s decor for your home! The link to each tutorial is underneath the photos. Cute! I think I might try the mason jar project. Thank you for your post. Awww, these are cute. I love the shape of hearts. I still have a little grapevine wreath with a heart ornament attached to it hanging in the living room because it’s so sweet. 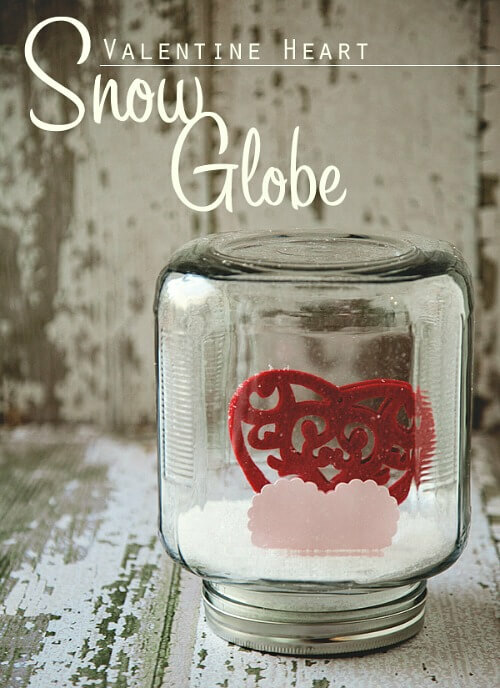 The snow globe would be fun to make. 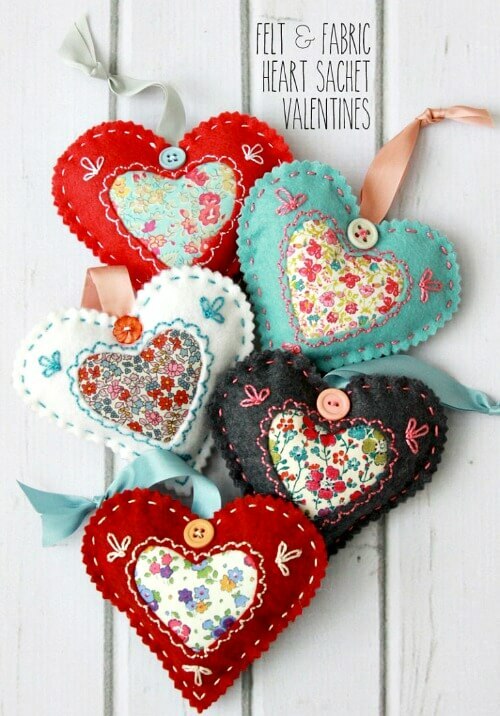 The felt and fabric hearts remind me of some I used to make, except I would never have thought to add the smaller fabric heart – just so pretty. The felt wreath is pretty, too. Cute ideas. I don’t do much Valentine decorating any more. I do put out the red wood heart my Dad made for me many years ago. I don’t decorate for Valentine’s Day, but the felt hearts are really cute. 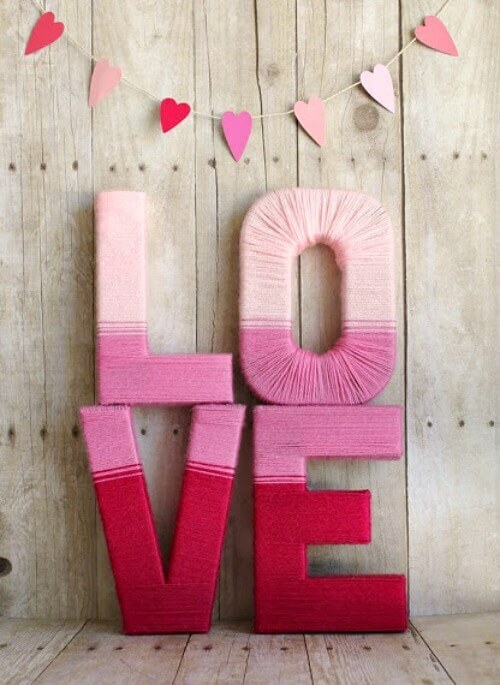 Lovely crafts, I like the felt hearts, if I had time I would make some for sure. Such cute ideas! 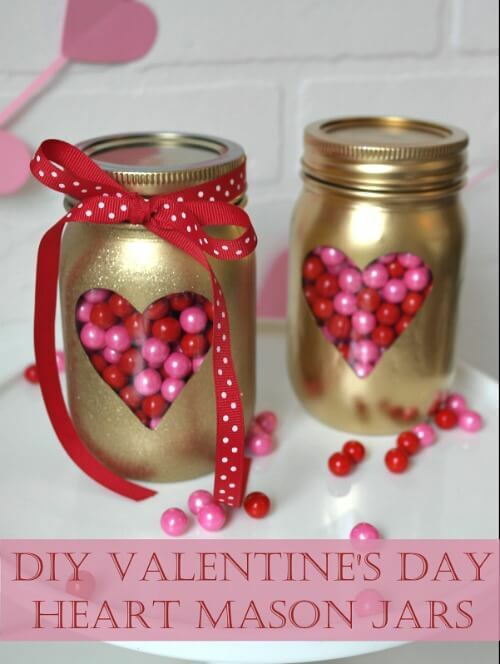 Love the heart mason jars. 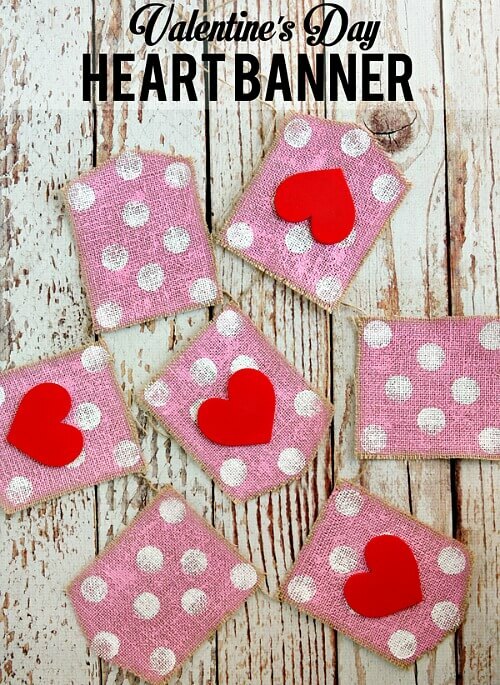 I like the felt and calico hearts. I might make some if I find time. Lord knows, I have plenty of fabric! It would be a good way to use some up! I could put some lavender inside with the stuffing to make them like little sachets. Thanks for the idea post, Brenda! All cute ideas! 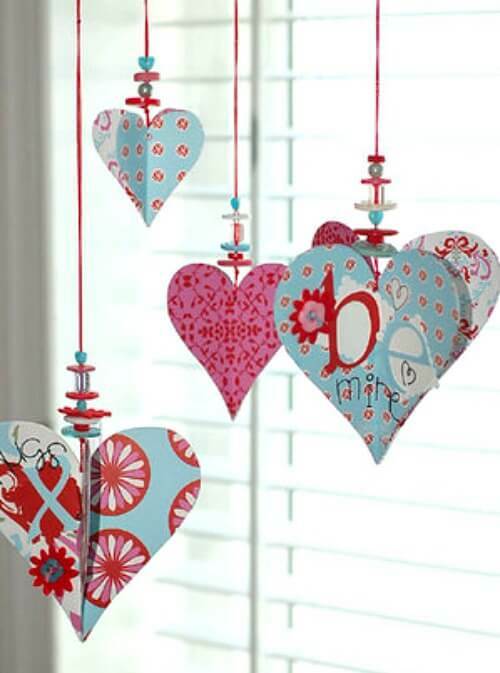 Love the heart mobile and snow globe. Visiting from Home and Garden Thursday.